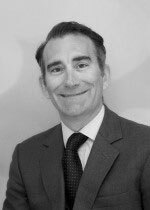 Guy Harris trained in London and the South East of England in general, colorectal and laparoscopic (keyhole) surgery. In addition he spent two and a half years in Fellowship training in the United States (Cleveland Clinic Foundation Ohio) and Australia (Queen Elizabeth Hospital Adelaide) undertaking specialist training in surgery for colorectal cancer and inflammatory bowel disease as well as advanced laparoscopic techniques. He took up his consultant post in 2004 specialising in these fields as well as endoscopy and hernia surgery. Mr Guy Harris does not hold a share or financial interest in this hospital, another Nuffield Health hospital or the company. Mr Guy Harris does not have a share or financial interest in equipment used at this hospital or another Nuffield Health hospital. Mr Guy Harris does not hold any paid advisory role(s) at this hospital or on behalf of Nuffield Health.